ATTENTION STUDENTS!!!!! 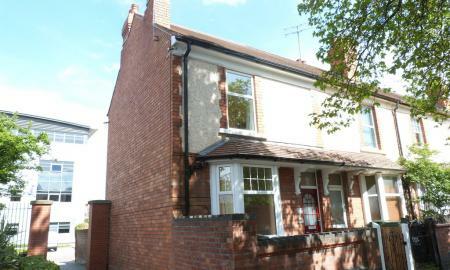 Four double rooms available in a spacious semi detached property over three floors. The property is situated on the Barratt Homes, Willis Place Development in St Johns. Priced at £525pcm per month per room ALL BILLS INCLUDED.This three storey house offers spacious contemporary Student accommodation and briefly comprises: To the Ground floor; Large Kitchen - Diner with appliances included and patio doors leading to the rear garden. Cloakroom and Lounge. To the first floor; Two double bedrooms and bathroom. To the second floor; Two double bedrooms and shower room. All bills are included including wireless broadband and the property further benefits from gas central heating, double glazing throughout and a garage. Internal viewing is recommended. FOUR BEDROOM STUDENT HOUSE!!! ROOMS AVAILABLE FROM £395PCM INCLUSIVE. Mid terrace house conveniently located within the St John's area, being in close proximity to the City Campus, local amenities and bus routes. The property is offered on a furnished basis and benefits from lounge, kitchen, utility room, downstairs WC, a good sized rear garden and off road parking for 2+ cars. CALL 01905 619890 TO VIEW TODAY The property is offered on a furnished basis and benefits from kitchen, downstairs cloakroom, one downstairs bedroom, spacious lounge with door leading onto a large rear tiered garden. Upstairs the property comprises three good sized bedrooms and main bathroom with separate shower cubicle and toilet. The property also benefits from off road parking to the front and has gas central heating throughout. 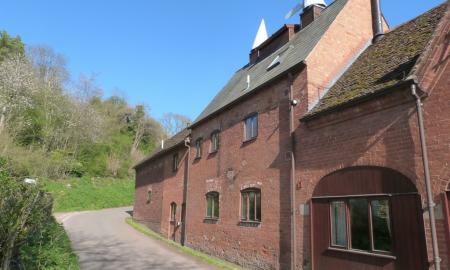 Martin and Co are pleased to offer this delightfully presented barn conversion located in the quiet and sought after village of Wick just a short walk from Pershore. This tastefully converted barn offers well appointed accommodation throughout and briefly comprises: private entrance hallway, large living room with vaulted beamed ceilings and feature fireplace, fitted kitchen with breakfast hall, separate dining room, family bathroom, four double bedrooms, two with en-suite, and a further fifth bedroom/office room loft room. This lovely property has to be viewed to be appreciated and the further benefits include gas central heating with under floor heating, excellent stone flooring to living areas, driveway parking for a number of cars, external storage unit, enclosed and maintained garden. ATTENTION STUDENTS!! FULLY FURNISHED BILLS INCLUSVIE EN-SUITE ROOMS. This centrally located student accommodation is offered fully furnished and is available for occupation August 2019. The property briefly comprises: private entrance hallway, spacious sitting room with leather suite, recently fitted kitchen with a range of wall and base units and appliances to include: gas hob & electric oven, fridge freezer and zanussi washer/dryer and dining table with chairs. The kitchen/diner has access to a downstairs cloakroom. All Bedrooms are finished to a high specification with double beds, fitted storage and offer private and individual en-suite bath and shower rooms. Rooms available from £475 inclusive of all bills and free unlimited WIFI. The property further benefits low maintenance laminate flooring, gas central heating, double glazing throughout and rear garden. A beautifully presented and tastefully converted GRADE II LISTED BARN CONVERSION located in a sought after semi-rural location on the edge of the village of Broadwas. This modernised property briefly comprises of: entrance hallway with downstairs cloakroom, modern fitted kitchen with granite worktops and appliances to include free standing smeg fridge/freezer, integral dishwasher, range cooker with hob, and plumbing for washing machine. The living room offers access to the rear garden with patio, and holds a feature brick built fireplace and open fire. A separate dining room can be found off the kitchen which like the kitchen also offers beamed ceilings and limestone flooring. The first floor of the property holds three double bedrooms, master an en-suite shower room and a further large family bathroom with bath and separate shower cubicle. 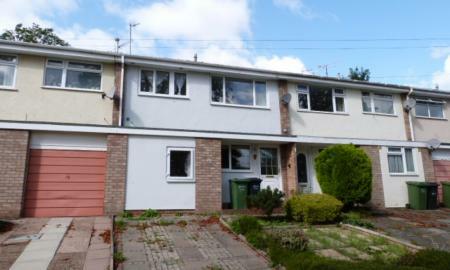 Further benefits include close proximity to local amenities, driveway parking & rear garden. A beautiful three bedroom character cottage situated in the popular village of Wick, within walking distance of the market town of Pershore and offering rail links to London. This delightful grade two listed semi-detached cottage offers an abundance of period features throughout. The property briefly comprises of: Large entrance hall, sitting room with grand stone hearth and open fireplace, downstairs bathroom, spacious breakfast kitchen with space for dining. Stairs lead to the first floor and three good sized double bedrooms, master with en-suite shower room. 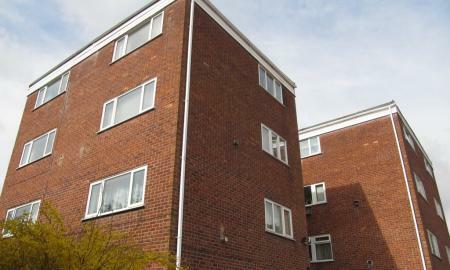 There is an excellent fully maintained rear garden with open aspect and ample parking to the front. 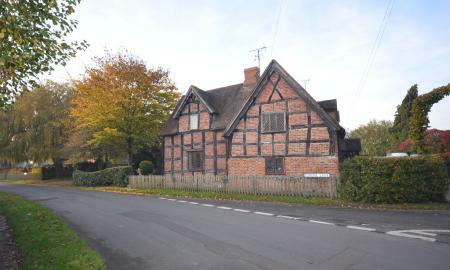 The property also benefits from gas central heating and period features throughout. Pets are considered at an additional costing £25 per calendar month. This contemporary apartment in the heart of the City Centre is offered furnished and grants low maintenance modern City living. This two bedroom apartment briefly comprises: Open plan lounge / contemporary kitchen, with fully integrated appliances, including full size fridge/freezer, washer/dryer, dishwasher and stainless steel oven, hob and canopy. Two bedrooms, En-suite to master. Main bathroom with shower over the bath. Newport House benefits from underground secure parking, communal sky dish, audio door entry system, lifts to all floors and a communal courtyard. 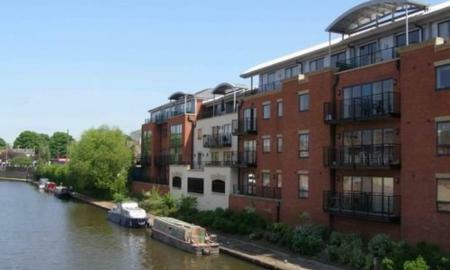 A SUPERB FULLY FURNISHED PENTHOUSE CANALSIDE apartment located in the sought after Diglis area of Worcester and just a short walk of the City Centre, train station and all associated amenities. This lovely top floor apartment offers modern open plan living with access to a PRIVATE CANAL SIDE TERRACE. Having two double bedrooms, master with en-suite shower room, second bedroom with balcony access, family bathroom with shower over bath, a modern fitted kitchen with integral appliances to include gas hob, oven, washer/dryer, fridge freezer and dishwasher. The large open plan living area offers a vaulted ceiling with spotlighting and access to a large walk on private terrace with views over the canal, Cathedral and City. 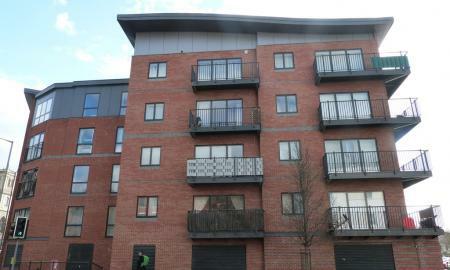 The property further benefits from gas central heating, video intercom entry system and secure gated covered parking. Early viewing is strongly advised to in order to secure. This extremely well presented and fully furnished apartment requires early internal viewing to fully appreciate the mix of a modern contemporary interior with original period features. This 1st floor apartment briefly comprises: private entrance hall, fully fitted kitchen with integrated appliances to include oven with hob, washer/dryer, fridge/freezer and dishwasher. The kitchen diner is open plan to a spacious lounge/dining area with wooden flooring, tall ceilings and arched character windows. The master bedroom is a generous double with an en-suite shower room and wardrobe. Second double bedroom with fitted wardrobe, family bathroom that offers a shower over a bath. 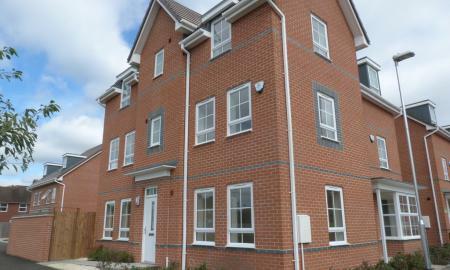 The property also benefits from secure door entry with intercom access and an off road allocated parking space. 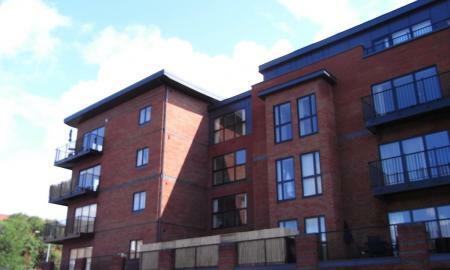 Martin&Co are pleased to offer this well presented two bedroom top floor apartment situated in the city centre with riverside views and secure underground parking for one car. This fantastic two bedroom apartment is offered furnished and briefly comprises: Open plan lounge / contemporary kitchen with integrated appliances. Spacious double bedroom with built in wardrobe and en-suite shower room, second double bedroom and family bathroom with shower over bath. Newport House benefits from underground secure parking for one car, communal sky dish, audio door entry system, lifts to all floors and a communal courtyard. 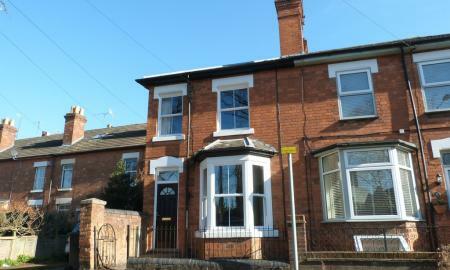 **REDUCED APLICATION FEES** A well presented and newly redecorated mid terraced family home located in the St Johns area of Worcester. This three bedroom house is offered unfurnished and briefly comprises: entrance porch, hallway, spacious lounge, study, kitchen with electric oven and gas hob leading to a good sized rear garden. The first floor of the accommodation holds three bedrooms (two doubles, one single), a fitted family bathroom with shower over the bath and separate WC. Further benefits include gas central heating, double glazing and new carpeting. Pets are considered at an additional costing £25 per calendar month. **REDUCED APPLICATION FEES** A Luxury two bedroom, third floor contemporary apartment within this exclusive city development situated in the city centre. The apartment briefly comprises: Entrance hall, designer kitchen with appliances. Soft-white Porcelanosa fully tiled luxury bathroom with chrome fittings and towel rail. Large lounge/dining room. There are two double bedrooms. The property further benefits from a lift to all floors, Sky in-home TV system installation/availability and electric central heating. One secure allocated parking space. 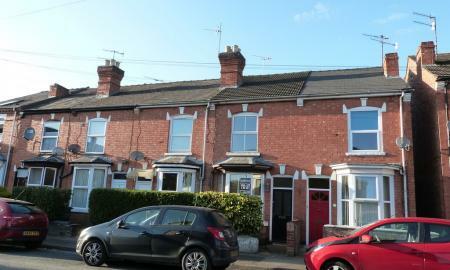 A well presented Victorian terrace property located in close proximity to Worcester City centre and just a short walk from either train station. The accommodation offers two double bedrooms both with en-suite. This well presented and recently updated mid terrace house is centrally located, offered unfurnished and available for occupancy in May. The property briefly comprises: two receptions, front aspect with bay window, rear reception open to modern fitted kitchen with a range of wall and base units, integral electric oven with hob, integrated fridge and washing machine. The first floor of the accommodation holds two double bedrooms, master with en suite bathroom, second double with en suite shower room. The property further benefits from gas central heating, rear courtyard garden with decked area and on street parking to the fore. No Smokers, No Pets, No Students. 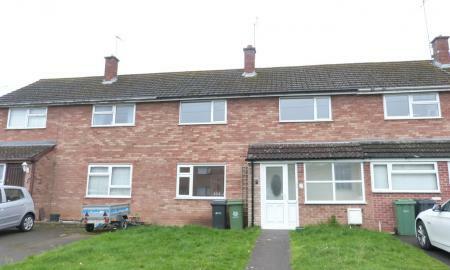 VERY WELL PRESENTED end terraced house in an excellent location just minutes from the City of Worcester and all its amenities. This lovely character property retains many period features and offers TWO RECEPTIONS and access to a rear courtyard garden. Ideally located for access to the City Centre and Foregate Street Railway Station, this lovely home briefly comprises : Entrance hall, sitting room with feature fireplace, bay window to front aspect, second reception room/dining room. Fully fitted kitchen with a good range of wall and base units, gas hob with oven, space for tall fridge freezer and plumbing for washing machine. Stairs lead to the first floor and two spacious double bedrooms, master with fitted storage cupboards, family bathroom with corner bath and shower over. The property further benefits from a small courtyard rear garden and gas central heating, double glazing throughout and a cellar. 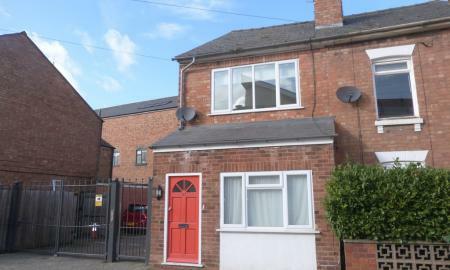 **Small Pet Considered** This immaculately presented end terrace house offers easy access to the City and is located in a quiet residential street on the edge of Worcester City Centre just a short walk from Foregate Street Railway Station. This well appointed property is offered unfurnished and briefly comprises: entrance hallway, large through living room with space for dining. The modern fitted kitchen offers a good range of wall and base storage units, roll top work surface, oven with hob, washing machine and a large fridge freezer. The kitchen also offers access to the rear low maintenance courtyard. The first floor of the accommodation holds two good size double bedrooms, master with fitted wardrobes and a spacious fitted bathroom with corner bath and shower over. This property further benefits form gas central heating, full double glazing throughout, and cellar for storage. This well appointed and contemporary 3rd floor apartment is offered furnished and briefly comprises: communal security entrance, spacious entrance hallway, large double bedroom with fitted wardrobe and bathroom. The modern kitchen is fully fitted with integrated appliances to include: washer/dryer, dishwasher, electric oven/hob and fridge freezer. 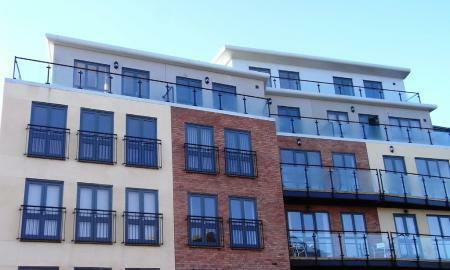 There is also a generously proportioned open plan lounge with a private balcony offering views of the River Severn. This lovely apartment also benefits from pedestrian secure door fob access and secure underground car parking allowing access to all floors by lift. Internal inspection is highly recommended in order to secure this low maintenance high spec apartment. Pets are not accepted. 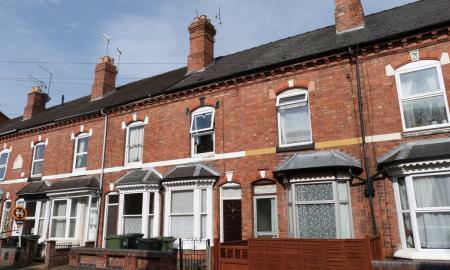 Martin&Co are pleased to offer this well presented and recently redecorated mid terraced period property located just a short walk from Shrub Hill train station and within easy reach of Worcester City Centre. This well appointed Victorian property is offered unfurnished and briefly comprises: reception to front aspect with bay window and feature fireplace, rear reception with open hearth feature and archway to a galley kitchen with a range of wall and base units, roll top work surface, freestanding oven with hob, space for fridge freezer and plumbing for washing machine. The first floor of the property offers two double bedrooms with the newly fitted family bathroom with thermostatic shower over bath being accessed through the master bedroom. The second bedroom to the front aspect offers stairs to a usable loft room and velux window. Further benefits include a small rear garden with patio, gas central heating and double glazing throughout. 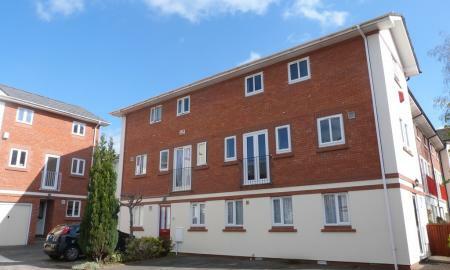 A modern duplex property located in a quiet and sought after cul de sac on the edge of Worcester City Centre. This property offers easy access to Worcester City Centre and associated amenities including the train station. The property briefly comprises: entrance porch with stairs to level one, living room/reception with double doors onto Juliette balcony, modern fitted kitchen with oven and hob, space for fridge freezer and plumbing for washing machine. Stairs to the upper floor which holds two bedrooms, one double and one single and the family bathroom with shower over the bath, Further benefits include an allocated parking space and visitor parking. 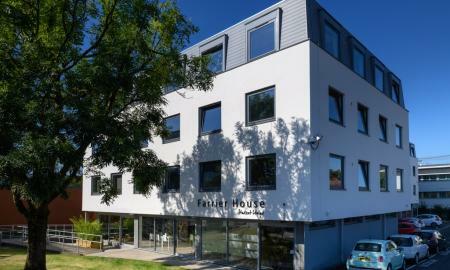 **HIGH END STUDENT LIVING**NO APPLICATION FEES** Martin & Co are pleased to offer a selection of high end bills inclusive fully furnished kitchenette en-suite student rooms within the sought after Farrier House development located in Central Worcester. Farrier House blends the best of student life in one stylish experience: a comfortable retreat for study and relaxation located minutes from the bustling heart of historic Worcester. From the communal area at street level to the roof top terrace, every inch of Farrier House has been designed to ensure our residents have the best possible time at university or whilst on Placement. Farrier House offers state of the art facilities and a real community where lifelong friendships will be forged. 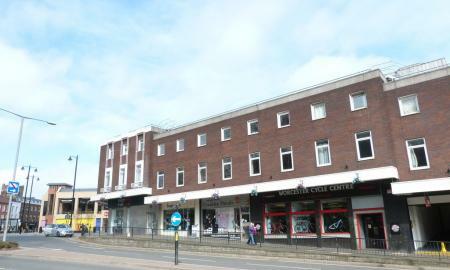 The development is situated in the heart of Worcester, just a couple of minutes walk from City Campus. You´ll be living right around the corner from train stations, and a wide range of bars and restaurants. 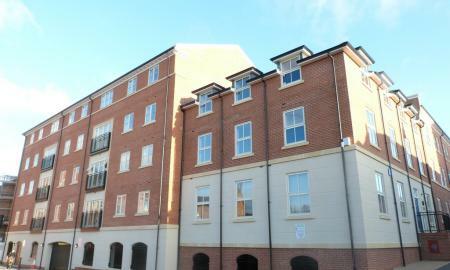 **BRAND NEW** A wonderfully presented executive canal side apartment located in the sought after Diglis area of Worcester just a short walk from the City Centre and Foregate Street railway station. The property offers an extremely high quality of finish throughout and briefly comprises: secure door entry with intercom, entrance hallway with storage cupboard, utility cupboard with plumbing for washing machine modern fitted shower room with low level WC, double tray shower cubicle and wash hand basin. The open plan living area offers views of the Cathedral and a modern fitted kitchen with a range of wall and base units, oven with hob, integrated fridge freezer and dishwasher. The double bedroom is offered with fitted wardrobes and also allows rooftop views across the City. Further benefits include under floor heating throughout with room thermostats, lift access, secure door entry with intercom, allocated secure gated parking and a bike store. Viewing is highly recommended. Martin&Co are pleased to offer this recently redecorated and very spacious duplex apartment located in the heart of Worcester City Centre and within the sought after Cathedral Square development. This two double bedroomed apartment is well appointed, offering accommodation over two floors and briefly comprises: large private entrance hall with storage cupboard, spacious living area to front aspect with space for dining, open to a modern fitted kitchen offering a range of wall and base units, oven with hob, washing machine and space for fridge freezer. Stairs lead from the entrance hall to the top floor of the development which offers further storage, two double bedrooms with wardrobes and a fitted bathroom with white suite and shower over bath. 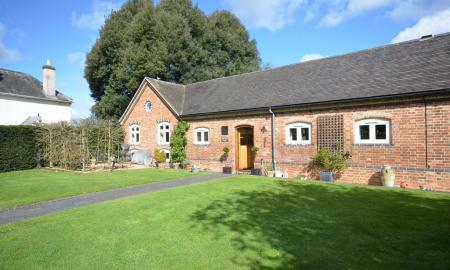 The property further benefits from modern electric heating and double glazing throughout. Viewing is highly recommended in order to appreciate the space on offer. Parking is available at an extra cost and by arrangement. 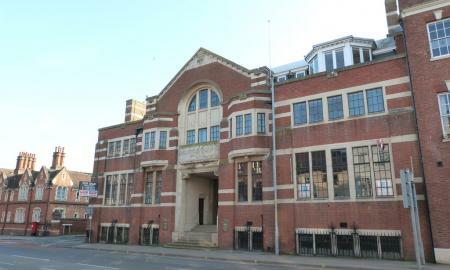 A delightful top floor duplex apartment is located in a popular and sought after area on the edge of Worcester City Centre. This spacious two bedroom apartment briefly comprises: Secure communal entrance hall, carpeted sitting room, fully fitted kitchen with appliances. Large living room with views over the City and Malvern Hills, two bedrooms, family bathroom with electric shower over the bath, gas fired central heating and is fully double glazed and allocated parking. The property displays a neutral decor throughout and Internal inspection is highly recommended. No Smokers, No Pets, No Children, No Students, No Sharers, No Housing Benefits. ATTENTION STUDENTS!! Martin & Co are very pleased to offer a selection of superb recently developed first floor studio apartments available to students from August 2019. All rooms are offered fully inclusive of bills, unlimited free wifi, and include a wall mounted television with television licence, a fully fitted personal kitchenette with fridge/freezer, combi-microwave oven, toaster and kettle. 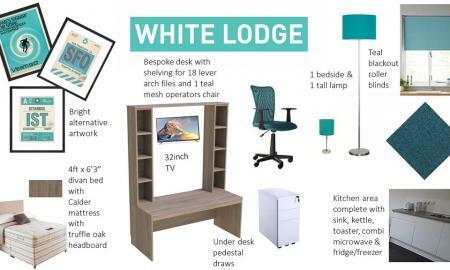 Furniture items include a double bed including mattress protector, bedside cabinet, wardrobe, chest of drawers, bedside and standard lamp, writing desk, and office desk chair. Each room also benefits with it's own en-suite shower room with automatic lighting and mirrored vanity cabinet. The communal areas will offer a social area with further scope for additional cooking and storage, a free to use laundry room, and bike store with wall fitted locks, secure door access and security cameras throughout. Please call today on 01905 619890 to discuss and book your viewing.